Why do other scooterists report better mileage or a higher top speed than I seem to get from my scooter? We often have to make a big decision on whether or not to go with the ethanol gas offered at the pumps. Most of us aren’t too keen on the idea after hearing many warnings about how the ethanol will eat through your seals and gaskets on our vintage bikes and in many parts of the country you really don’t have much of a choice what fuels are offered to you. It’s a good thing that there is a website like Pure-Gas to help you find a station near you that serves up some ethanol free gas. Not quite scooter-related, and maybe a little crazy, but ultimately, a worthy quest: Check out Jalopnik’s campaign to ban the confusing “Check Engine” light and replace it with useful onboard diagnostics. Libertarians, complain away, but it doesn’t make sense to have a computer, a million sensors and a text display (if not a video display) in your car, then hide the results from the consumer. If you’ve ever paid a mechanic $90 to tell you that your gas cap wasn’t screwed in tightly enough, sign the petition before February 16. Author illnoisePosted on 20.01.12 20.01.12 Categories Legal & Safe, Technical info1 Comment on Check Engine? Who knew the Clubman exhaust was 30 years old? or who really cared? Well Mark Broadhust apparently does and has devoted a lot of time and energy into the exhaust. 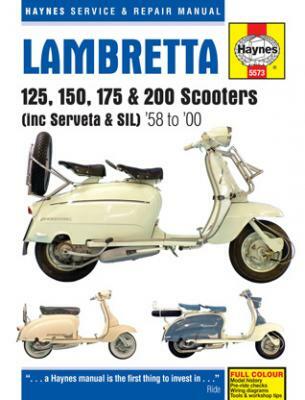 It’s no secret that Mark and his company MBDevelopments have come up with many quality performance parts for the Lambretta over the years but man, talk about information overload! Check out this dyno chart and picture filled facebook post of the history of the exhaust, how he has gone about improving them, and a sneak peak at a new version being made in collaboration with Scooter Center Koln. Is a new slogan for Giannelli exhausts, or maybe just a poor google translation. The company is reintroducing many of its pipes for mopeds and scooters from 1980’s on the angle that if it was good enough 25 years ago it’s good enough for old guys with more money to relive their youth with now. Also appears the company will introduce a new exhaust for the 4-stroke LML Stella/Star. Living in the past not for you? Well then maybe the MyMuffler program from Polini is more your style. I’m sure you often thought “boy would I like my name emblazoned on the can of my exhaust” well now you can! Hear hear, let’s get some real, unbiased data on ethanol use and put an end to the debates. We just updated our Scooter VIN database to catch up with a years’ worth of posts on This ScootDawg thread. Thanks for the tips, everyone, keep them coming! 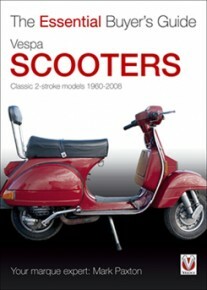 Read more about scooter VINs and WMIs from Dr. Buzz. My (dealer and/or manual) told me to use premium gas in my Asian scooter. ……So a 12 oz can of beer fits perfectly in the cylinder of a P200, a shot glass filled with 2 stroke is the perfect mix ratio for a gallon of gas, are these coincidences or is there something going on here?